This website provides basic information on questions that you may have about travelling to New York for spinal treatment and care by Dr. Goldstein. 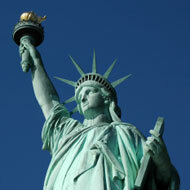 An overview of hotel information and places to stay while in New York. A description of insurance accepted by Dr. Goldstein along with information on alternative arrangements for patients without insurance. Click for insurance information. Dr. Goldstein's spinal surgeries are primarily performed at the NYU Hospital for Joint Diseases and NYU Tisch Hospital.